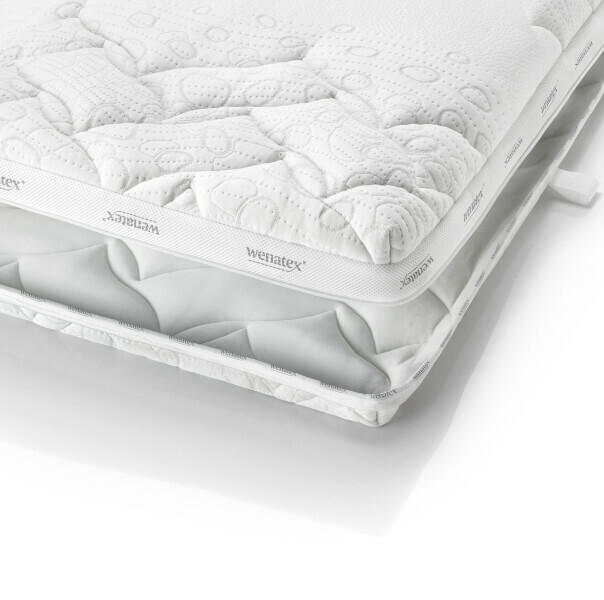 The wenaCel® sensitive orthopaedic mattress sets new standards when it comes to healthy and regenerative sleep. 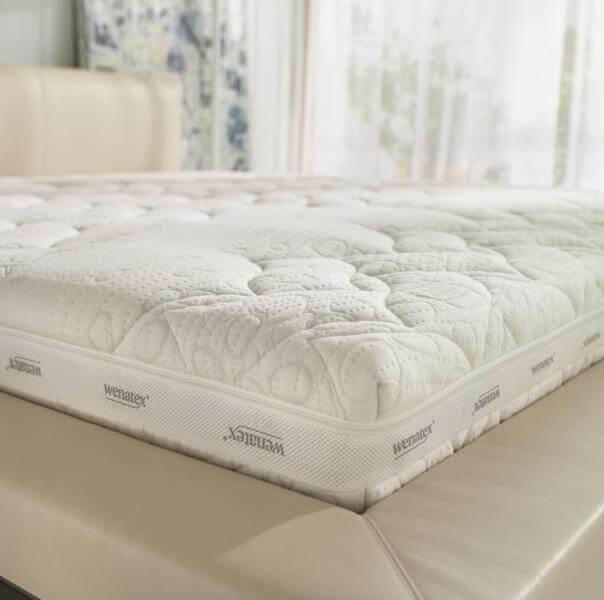 The 5-zone quilting of the wenaCel® sensitive mattress cover and the unique brook pebble design featured by the wenaPur® cold foam mattress core, inspired by the Kneipp theory of a special sense of well-being, combine to ensure perfect support and relief for the entire body. effect right to the very core. to remove the cover for washing purposes. 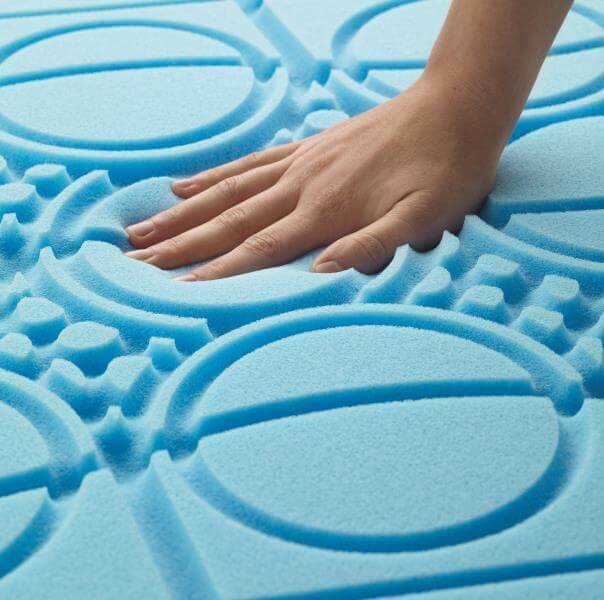 The 5 ergonomic comfort zones ensure that the orthopaedic cold foam mattress affords pinpoint support, yielding where softness and comfort are required while at the same time providing firm support for the lumbar region. This is why the wenaCel® sensitive orthopaedic mattress was awarded the quality certificate for “Ergonomic Lying Comfort” by TÜV Rhineland LGA Products GmbH (Technical Control Board in Rhineland, Germany). Antimicrobial and mite-retarding effect right to the very core, thanks to the Sanitized® hygiene function. 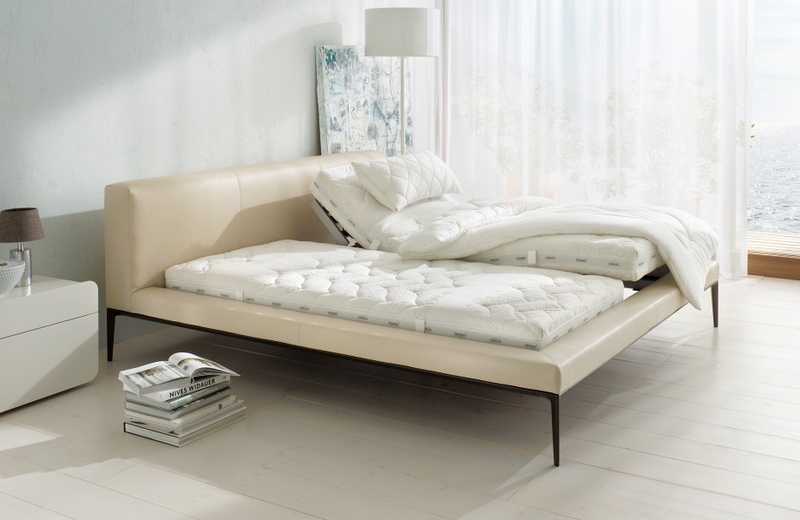 wenaFlex® Premium bed base for unbeatable lying comfort. Care instructions for your mattress.